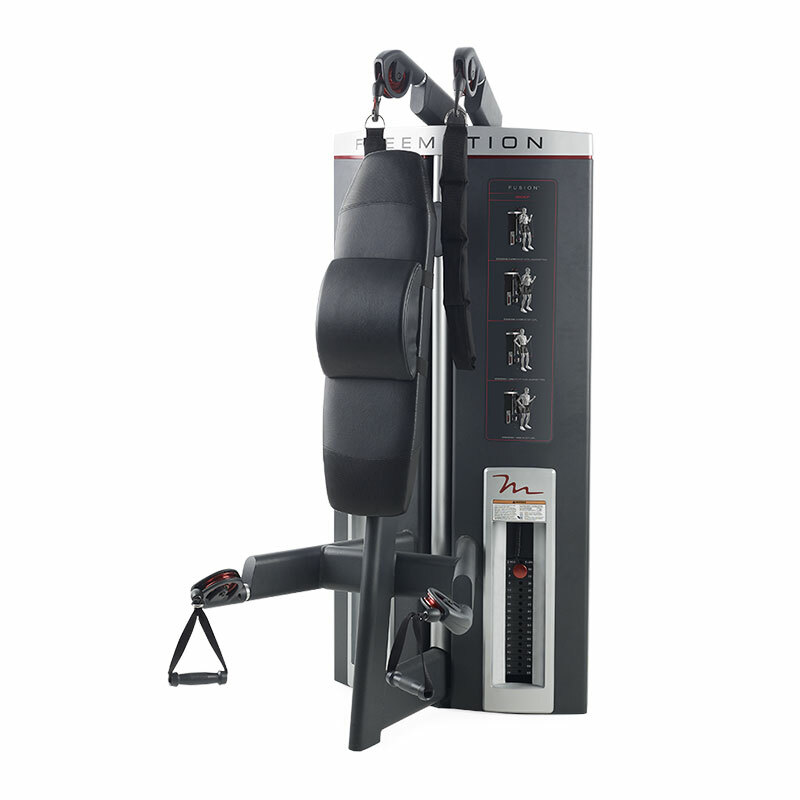 Freemotion has combined bicep strength training with abdominal training in one dynamic machine. The Genesis DS Ab-Bicep creates a cable-based workout with aluminum swivel pulleys that target the core, upper, lower and oblique abdominals, arms and shoulders. Handles move one at a time to create shoulder exercises that also target abdominal and bicep muscles. 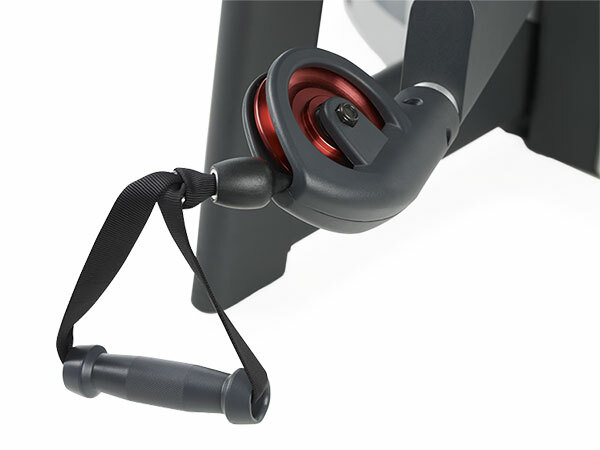 Because the aluminum pulleys on this Freemotion machine swivel, it’s easy to target specific muscles groups while strengthening stabilization and balance. Built tough and made to last, the Genesis DS Ab/Bicep can accommodate up to 400 lbs (181 kg). Because the pulleys swivel, specific muscles groups can be targeted and used to stabilize and balance the body. Handles move independently to create a wide variety of shoulder exercises that target abdominal and bicep muscles. Extensive cable travel allows for a full exercise flexion of 72 inches (183 cm) per arm. Engage abdominals and biceps in a wide variety of workout options including basic and oblique crunches, core rotation, and pronated, supined and hammer bicep curls. ADA Compliant Compliant with the Americans with Disabilities Act for wheelchair accessibility.